In 1900, cancer was virtually unknown. People’s diets back then consisted of whole foods and natural sugars and it all generally came in its original form, unprocessed and unpasteurised. 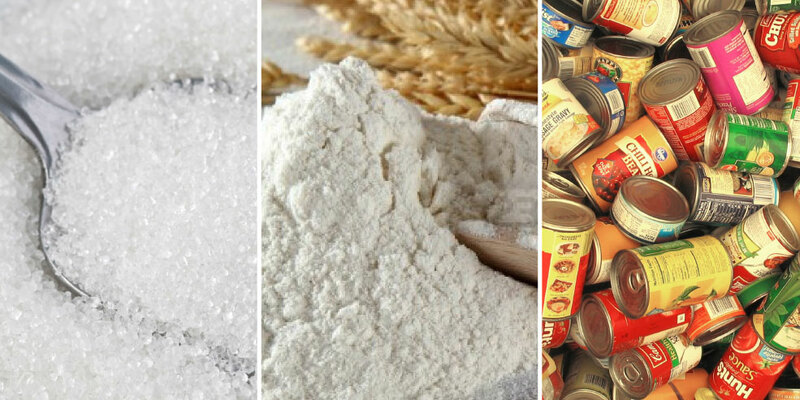 But as the early years of 1900s passed, refined sugar became more accessible to the masses (at one stage white sugar was referred to as white gold because it was so rare). White flour was introduced as a cheaper way to feed the people, but detrimentally it replaced millet and spelt and other such “ancient grains”, which are high in fibre and packed with minerals. White flour, at its core, is an empty filler as its main purpose is to provide bulk and kill bugs. During the First World War the need to supply loads of food to the troops on the front line without it going bad spawned the canning industry. Scientists at the time proposed that food could be made to last longer by removing it’s enzymes. They tried this and it worked, and and a very profitable idea came about – shelf life. What they didn’t realise at the time was that the enzymes they were removing played a key role in the digestive process in our bodies. Shelf life is the driving force behind the food processing industry. The longer food lasts, the more profitable it is. Supermarkets caught onto this idea and food processing became more advanced. New ways of removing enzymes were discovered and the shelf life increased. Pasteurisation, chemical additives, bleaching, and other very naughty processes that devitaminise the food we put in our digestive system, were all refined to increase profits and maximise convenience – not for the good of our bodies. So what is an enzyme? The life functions of cells are controlled by enzymes and they are present in all living animal and plant cells. Enzymes are responsible for making seeds sprout, for turning leaves brown, and for keeping you alive. They are essential for every chemical reaction that happens in a cell and no living cell can exist without enzymes. 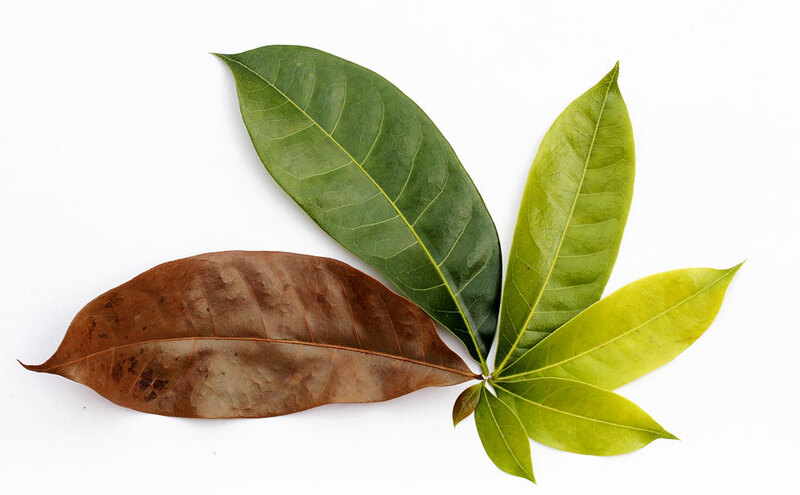 PLANT ENZYMES are responsible for the life cycle of the plant, including the decomposition process. They can be found in raw food from plants and it’s very important to include these foods in your diet so you’re not relying on only your own digestive enzymes to do all the work. With the natural plant enzymes contributing to your digestive processes, more of your own enzymes are free to perform other vital tasks within your body. DIGESTIVE ENZYMES are found in your saliva, stomach, pancreas, and small intestine. They break food down into particles that the body can use to produce energy. These particles are also broken down to make them small enough to be carried across your gut wall and used throughout your body. METABOLIC ENZYMES keep the cells functioning around the clock. They speed up the chemical reactions that take place in our cells, making them run at their optimum best. They are responsible for our breathing, seeing, walking, thinking, our nerve transmission, brain signals, oxygen exchange, liver function, pH balance in the blood, and even for levelling out our hormones. Everything that happens in your body happens because enzymes are working to make it happen. The molecule an enzyme reacts with is called a “substrate”. After the reaction the new substance is called a “product”. Enzymes can turn vitamins and minerals from the food we eat into energy the cells need to function at their peak. Certain enzymes only work with certain substrates. Enzymes are very specific and usually only complete a certain task. Plant enzymes are the major difference between living, natural, nutritious, wholesome food and dead, vitamin deprived, processed food. Take a banana. Leave it in the fruit bowl for 4 weeks and what happens? It turns from green to yellow to black. It ripens, then it rots. Now take McDonalds fries and leave it out for a year. Guess what happens? That’s right, nothing. It doesn’t decompose, because it doesn’t have any enzymes in it. The Happy Meal Project by Sally Davis. Left: The Happy Meal the day it was bought. Right: The same Happy Meal 6 months later. So when we eat processed food, like those McDonalds fries, the body has to rely solely on it’s own digestive enzymes to break that ‘food’ down into useable forms (even if those forms may not be that useable or useful). No matter how greasy, no matter how much extra cheese, or how much white sugar, or chemicals, no matter how indigestible a food is, your body’s enzymes will try to break it down. But, with hard to digest foods, this can put a lot of unnecessary demands on your natural digestive processes and your body’s resources. Natural foods like fruits and vegetables are very easy on the body. These foods have their own enzymes which break down the food for you. The body doesn’t need to waste precious energy or produce powerful digestive acids to break these foods down and turn them into a useable form. Our digestive enzymes can cope with a balanced diet, but if there is a constant flow of manmade, indigestible foods going into our system day after day, month after month, year after year, it begins to accumulate and overrun the system. Remember, our bodies aren’t used to our modern diets. 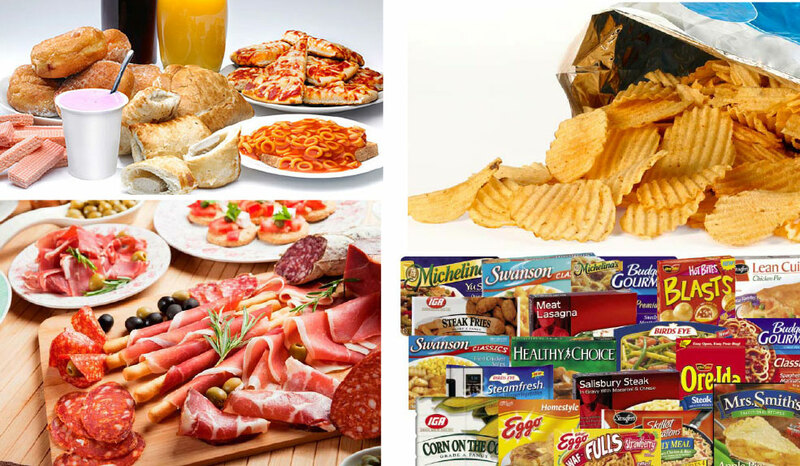 Our ancestors never had to deal with crisps, chocolates, chicken nuggets, ice cream, canned food, pasta, pizza, biscuits, white bread, croissants, beer and all those other manmade indigestibles. The more enzymes we use for digestion, the less are available for the thousands of other tasks which the metabolic enzymes have to perform in our bodies. Think of people who are grossly overweight – they don’t function at their peak. In fact, some even battle to walk or even breathe. All their enzyme energy is spent trying to digest all the indigestible food that they keep sending down into their gut. Our digestive system has developed from hundreds of thousands of years of animal evolution, originally for the purpose of breaking down plant-based food and the occasional animal protein. This new way of life is merely a blip on our digestive systems’ timeline. The cells lining the digestive system come into direct contact with the foods we eat and the substances contained in our food can affect those cells. Eventually, after years of our systems being subjected to this bombardment of unnatural rubbish, they can’t deal with all the muck and the undigested bits begin to rot, creating hundreds of toxins and free radicals. Then the rotting, undigested debris gets absorbed through the gut wall into the bloodstream and this is where the problems start. From there, these toxins can go anywhere in the body. The first thing that happens once your system is overrun by toxins is your red blood cells start sticking together. This means they can’t circulate as freely as they normally would so they can’t carry oxygen to the rest of the body as easily anymore. They get stuck going through small blood vessels and block the flow – this leads to the tissues in your body becoming oxygen-deprived. Oxygen is absolutely vital to our survival, and in turn, our cells can’t function without it. Normal cells generate energy to grow and thrive inside tiny power stations called mitochondria, and they use oxygen to fuel the chemical reactions that take place there. Cancer cells, on the other hand, don’t like oxygen very much and most cancers cannot exist well in an oxygen-rich environment. That is why you will never get cancer of the heart – the blood is too well oxygenated for cancer cells to grow. So how do cancer cells get their energy if they don’t like oxygen? There are two ways for cells to harvest energy from food: cellular respiration and fermentation, which both start with a process called glycolysis, which very simply means turning glucose (sugar) into cell energy (HTP). Normal cells use mainly cellular respiration to harvest energy and this involves oxygen to fuel the reactions. But cancer cells are reprogrammed to change the way the cell functions, including how it harvests its energy. They go about powering the cell by a process called fermentation, which does not require any oxygen. In fact, the fermentation process actually removes oxygen. When you make alcohol, the sugars ferment, and when they ferment they bubble. Those bubbles are the oxygen leaving the party. So sugar is a type of carbohydrate. Remember all that undigested processed food piling up in your digestive system and then making its way into the bloodstream? Most of that food was carbohydrate – corn flakes, crisps, cookies, cakes, white bread, pizza, french fries, candy and sugary drinks. All these half-digested carbohydrates that were sitting in your digestive system eventually get absorbed into your bloodstream and are circulated around the rest of your body, eventually finding a nice resting spot to settle and ferment. As this fermentation takes place, oxygen is burnt off, creating the kind of environment that cancer cells prefer. On top of that, the white blood cells, which are supposed to circulate as the immune system, become trapped in all this debris. They are meant to be protecting your system from foreign invaders, as well as preventing the formation of cancer cells. This is when slip-ups happen, as your system simply can’t cope with the assault on the natural balance of things. Poor oxygenation comes from a buildup of carcinogens and other toxins in the blood, which blocks and damages the cells’ oxygen respiration mechanism. Clumping up of red blood cells slows down the bloodstream and restricts the flow of oxygen to the rest of the body. This then allows fermentation in other parts of the body which creates an acidic, oxygen-free environment in which cancer cells thrive. Processed food makes the blood more acidic. The lower the pH, the more acidic the blood is and the less oxygen it contains, and the faster a person ages and their cells degenerate. Human blood pH must be in the range of 7.3 – 7.45 – anything outside of that range and we’re dead. The difference between pH 7.3 and pH 7.45 is 70% less oxygen in the blood and, as we’ve just learnt, less oxygen is a very bad thing. Acidic foods, as you might be able to guess by now, include meat, sugar, alcohol, dairy, white bread and other processed foods. Even emotional stress can raise the acidity in your body. If the body is too acidic it will try to naturally balance itself out, and if their aren’t enough minerals available in your food for it to do so, it will take the essential minerals from its own cells. This leaves the cells weak and vulnerable. So, it’s important to try and keep our pH level as close to 7.45 as possible and we can do this by ensuring we eat plenty of alkaline foods. These are live, raw foods, especially green vegetables. Even a lemon which is very acidic outside your body becomes alkaline when fully metabolised in your body. You should also drink alkalised water to keep your pH levels balanced. This is where the real action is when it comes to providing your body with the fuel it needs to stay healthy. Natural, plant-based food is what humans have been eating for the last 200,000 years. They are packed with the nutrients and minerals the body and cells need to function at their peak. They don’t clog the system as their own enzymes help to break them down. Eating a diet made up primarily of these types of foods goes a long way towards helping you lead a healthy, disease-free life. For a long time we thought fats, proteins, carbohydrates, vitamins and minerals were all the nutrients our bodies required for growth and health, but now we know that there is a new group of nutrients, only found in plants, that hold very exciting prospects for our health and our immune systems. These nutrients are called Phytonutrients (or Phytochemicals). “Phyto” meaning plant and “nutrients” meaning nutrients. 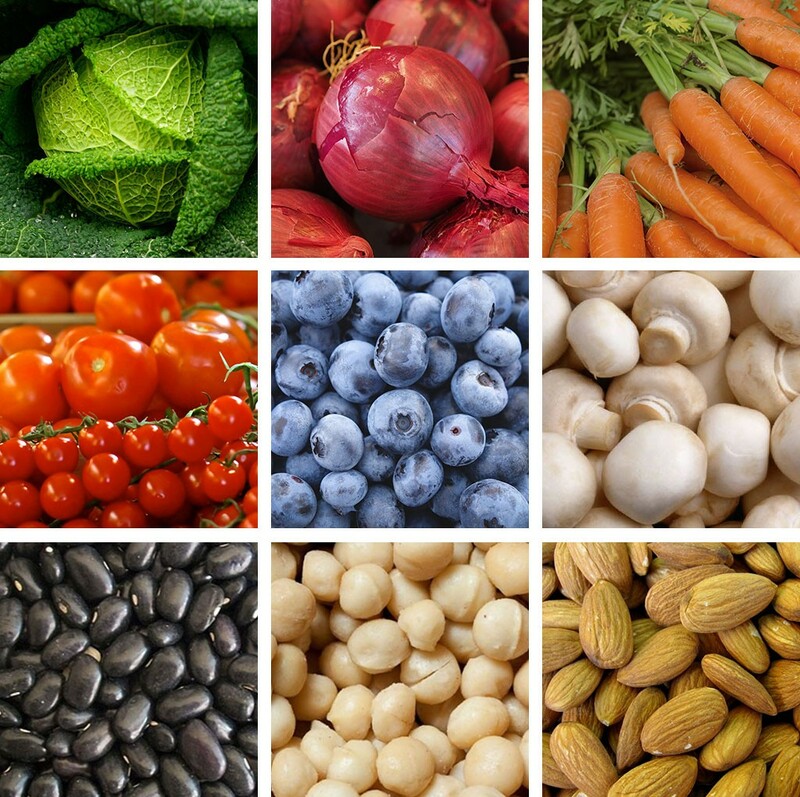 Phytonutrients occur naturally in plants and act as the plant’s own defence system. They protect the plant from it’s environment by stopping free radical attacks on its cells from ultraviolet radiation, toxins, pollution, viruses (similar to what that causes free radicals in humans) and of course natural predators. Phytonutrients are often concentrated in the skins of fruits and vegetables, and are responsible for their colour, scent and flavour. While our bodies can’t produce their own phytonutrients because they are unique to plants, we can still benefit from the incredible health and defensive properties of these plant nutrients. When we eat plants, their phytonutrients (along with all the good antioxidants in the plant) enter our bodies and strengthen our own immune system to protect our cells from harmful cancer-causing free radicals. The plant’s immune system becomes our immune system! The Brassica (broccoli, kale and cabbage) and Allium (garlic, onion and leeks) vegetable families especially contain powerful phytonutrients that have shown an ability to kill cancer cells. There are numerous other types of whole foods that contain phytonutrients that are loaded with antioxidants that strengthen our immune system, keeping our cells strong which helps prevent cancer cells forming in the first place. Other foods clean out our digestive system by detoxing the liver and clearing the digestive tract. So the answer doesn’t lie in eating one special “superfood”, like broccoli or beetroot, but rather in many whole foods. An all-round diet of veggies, fruit, seeds and nuts, beans and lentils, mushrooms and oily fish is the key to maintaining this complicated balancing act, and all of these foods offer different benefits. The estimated breakdown of causes of cancer is mostly environmental, partly diet related, and is hardly ever a result of genetics. We have control over the dietary influences and staying on top of this means stronger cells and a stronger immune system, which then means your body can fight off the environmental cancer-causing free radicals much more effectively. All in all, the right diet means a reduced risk of cancer, which is a very good thing. So, when thinking about food choices we shouldn’t be focused on the calorie count or fat content – we should rather ask ourselves, is my food natural or processed? Raw or cooked? Sprayed or organic? Does it contain saturated fats or unsaturated fats? Does it deliver its own enzymes? is it digestible or indigestible? These are the questions that will keep your body healthy and your waistline naturally trim. « What’s stress got to do with it? This is one of the best articles I have read on this topic. Explained succinctly, simply and powerfully, without preaching. Keep sharing your story and message – it needs to be heard. Thanks for the positive feedback Natasha. That is very kind. It is such an interesting and important subject and want to spread the word. We’ve been a bit quiet lately but I assure you that will change very soon!